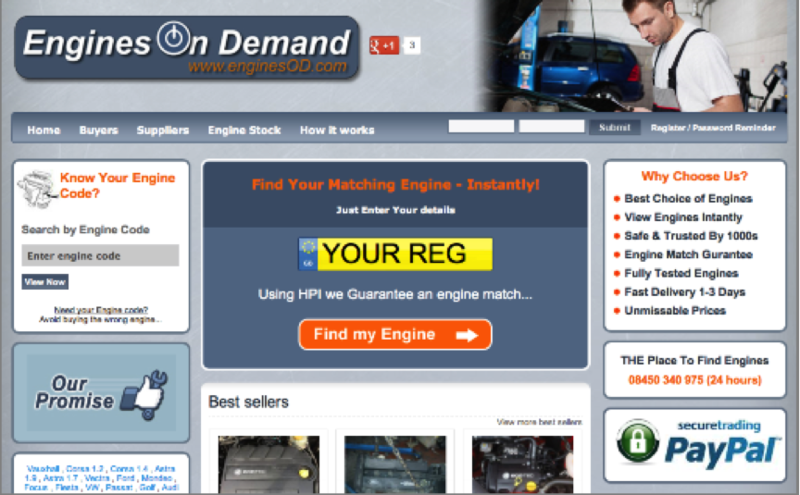 NEW WEBSITE - FIND YOUR ENGINE INSTANTLY.. Need a guaranteed used car engine? * By submitting an enquiry all buyers agree to the warranty / terms outlined. Reserve an engine (Paypal deposit required) - If you have received a TXT quote and want to proceed to reserve an engine - Click Here or Call: ( 01909 ) 772 296 to make payment in full. Direct delivery - To make things more convenient for our buyers we now use Palletways couriers to deliver any palleted engine direct to your garage. This typically takes 1-5 working days (usually 2) and costs from £45. Certain locations and next day guaranteed delivery maybe more. UsedCarEngines.co.uk - Your car back to normality!